Bridge Bay at Bannon Lakes is a 55+ Pulte Active Adult community in the master-planned community of Bannon Lakes offers a variety of resort-style amenities and activities including pool, fitness center, sport courts, and more. Fill your days with as much or as little activity as you would like. Explore single-family homes and villas with lawn-care included, open floorplans featuring living spaces and backyards perfect for entertaining. More information can be found on the Pulte Homes site. Bridge Bay is Now a Pulte Active Adult Community! Find all of our information for Bridge Bay at Bannon Lakes on our Pulte Homes site. Explore Bridge Bay at Bannon Lakes so you can see the beautiful community and resort-style amenities. We believe you’ll like it here. 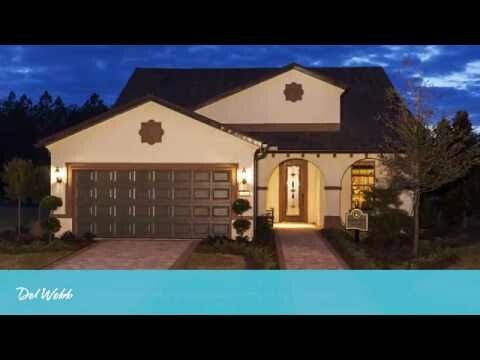 A Pulte Active Adult lifestyle awaits you at Bridge Bay at Bannon Lakes, located near prestigious World Golf Village. Get fit at the fitness center, take a dip in the resort-style pool, or perfect your skills at the sports courts. Enjoy a quick commute to I-95 and St. Augustine. This gated community's amenities include a fitness center, bark park, dog run, tennis, pickleball and sports courts, play lawn and playground as well as a 5,000 sq. ft. zero-entry resort style pool with swimming lanes. Located in Ponte Vedra, FL in St. Johns County, Bridge Bay at Bannon Lakes offers easy access to both US-1 and I-95 providing a convenient location between Jacksonville and St. Augustine. Within a short drive to US-1 you’ll find a variety of shops and restaurants, from Starbucks to a fitness center and grocery stores. Travel 20 minutes north to St. Johns Town Center--an upscale outdoor mall including 150 retailers and eateries like The Capital Grille, Pottery Barn and Dillard’s. Take a virtual tour of the Martin Ray to see how this house flows from room to room. Take a virtual tour of the Summerwood to see how this house flows from room to room.